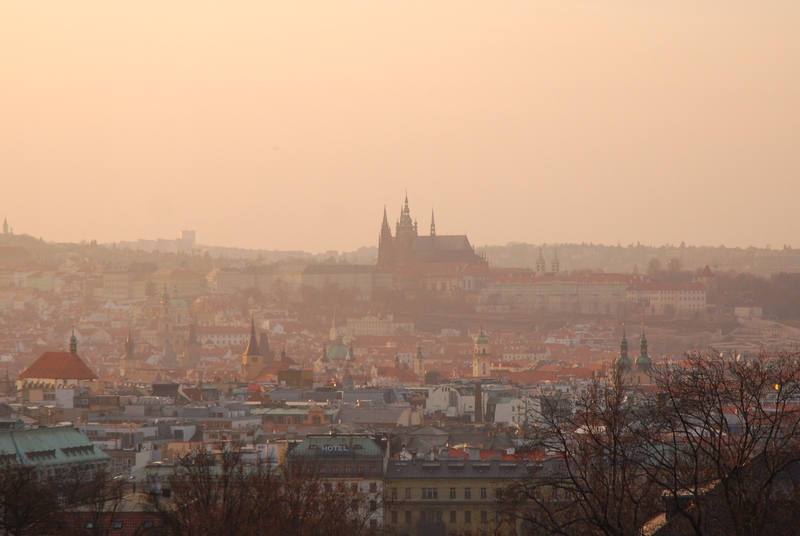 Those in the aesthetic know have long recognized that there is much more to Prague than the dreamlike castle rising above the Baroque and Rococo confections that jostle for tourists’ attention in the picturesque old town. Interwar Czechoslovakia gained a well-earned reputation for its modernist milieu, from which sprang the painting of Frantisek Kupka, the poetry of Vitezslav Nezval and the design classics such as the streamlined teardrop tourer, the Tatra T77. Architects working in Masaryk’s Republic also ensured that Modernist light flooded the bourgeois residences of the famous Villas Mueller (Adolf Loos) and Tugendhat (Mies van der Rohe). In contrast to the folksy, myth-making and introspective imaginary of the ‘National Revival’, the nascent bi-national consciousness that emerged from the decline of decadent Kakania and the carnage of the First World War openly embraced the International Style. Czech architects and their patrons absorbed lessons learnt abroad and let their projects talk the language of CIAM, but with a proudly Czech accent. 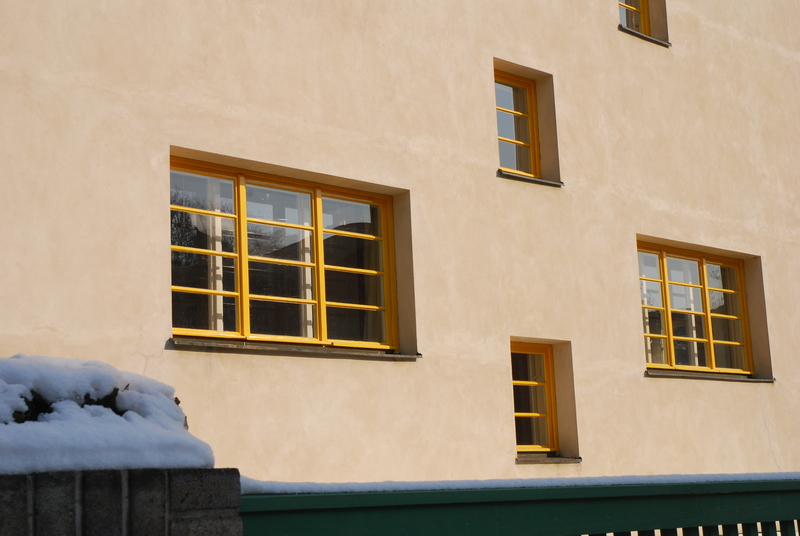 Of many possible examples, Oldřich Tyl and Josef Fuch’s Functionalist Trade-Fair Palace in Holesovice and Josef Havlíček and Karel Honzík’s Corbusian Pension Institute in Zizkov display a familiarity and comfort with the principles and practice of Modernist architecture that fuelled the urban utopianism of Tomas Bata’s “shiny phenomenon” in Zlin and reflected the confidence of a Republic, recognized as such for the first time, beginning to feel like it belonged in the world. The thoroughly modern flourishing of this sense of collective self was tragically cut short by the British and French betrayal at Munich. Chamberlain’s cruel condemnation of Czechoslovakia as ‘a faraway country of which we know little’, an expendable pawn in the cynical play of great-power politics, opened the door for Nazi annexation and occupation, ‘liberation’ by the Red Army and the subsequent slide into authoritarian communism. That short, twenty-year period, remembered elsewhere as a time of crisis, was burned into the Czechoslovak collective memory as a time of unparalleled freedom and creativity, hope and possibility. This was a time when the swirling forces of modernist creativity, such as those of Karel Teige’s Devětsil ensured that while this medium-sized, Central European country grew to become world’s 6th largest exporting economy, it was feted not only for its wares, but the way it wore them. The memory of this period has become crucial to historicized understandings of what followed as well as ideas of how to be, become and belong in the present, which has been both reflected and reinforced in the material memoryscape. 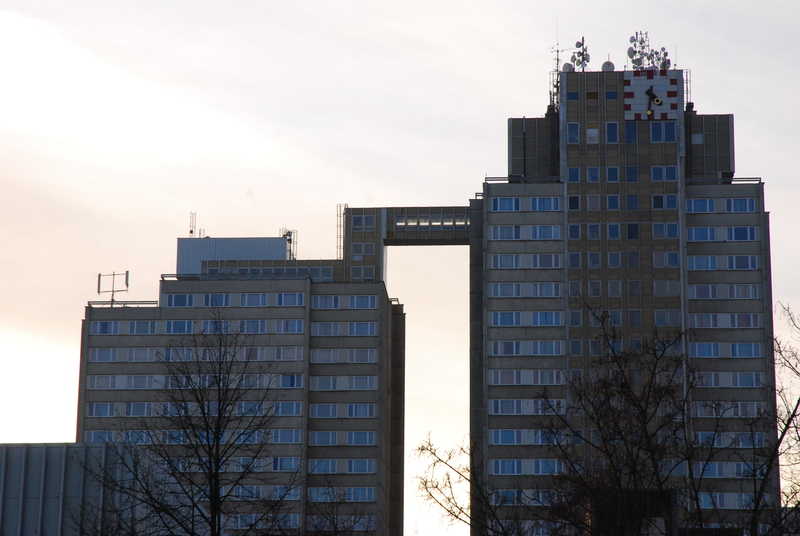 The clipping of the First Republic’s youthful wings is often seen as the end of the Czech modernist line, leaving behind an architectural high-water mark as a reminder of what could have been, of a time when concrete could be the stuff of dreams, rather than the material manifestation of a closing curtain-wall. The monuments to that golden youth are now regular highlights on tourist schedules, highly recommended in guidebooks and often featured in design magazines. Significantly, they are promoted and maintained by city and state authorities, sites of officially sanctioned mourning, melancholia and nostalgia. However, while such acclaim is richly deserved, the politics of material memory are never far from postcommunist surfaces. The focus on the First Republic has meant that many of Prague’s later modernist gems have often been ignored, seemingly hidden in plain sight. Whereas Berlin is lauded for its TV Tower and Café Moskau and the former Soviet Union has seen its Cosmic Communist Constructions Photographed to widespread acclaim by Frederic Chaubin, Czech Brutalism has remained largely uncelebrated, mired in the brutal circumstances of its making. It is notable that in a feature article on another recent book in this emerging genre, ‘Socialist Modern’ buildings in Slovakia, Poland, Lithuania, Serbia, Hungary, Ukraine and Georgia are mentioned, while the Czech Republic is conspicuous by its absence. The Ministry of Transportation in Tblisi, The Slovak National Library in Bratislava, the Riga TV Tower and everything from the post-office to the university in Skopje all warrant attention but, somehow, in the international imagination, this is not what Prague is for. 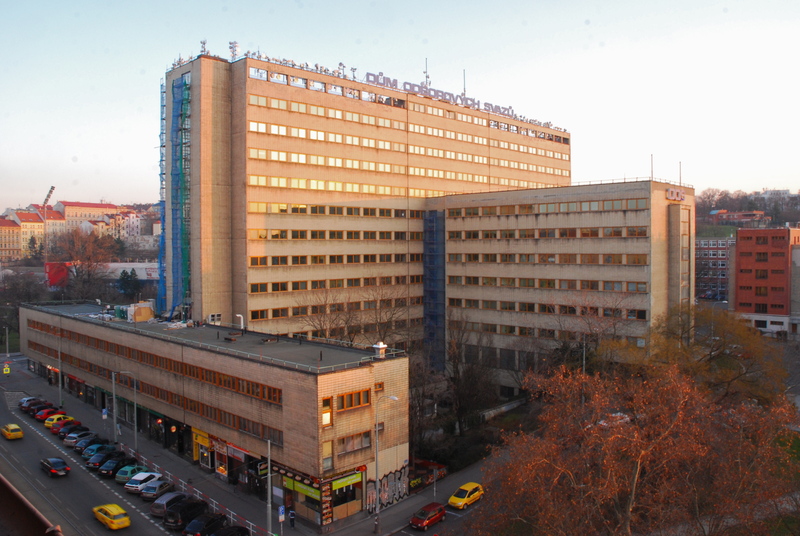 This impression has often also been cultivated by previously dominant politics of public memory, with Prague’s brutalist buildings seen as sad anomalies amidst the ancien splendour – inconvenient material truths that have nonetheless served a useful purpose by prodding at the guilty conscience of visiting tourists and statesmen, obscuring their uses and material qualities by casting them into the shadow of totalitarianism. It is important to understand the causes of this willed amnesia, which in the time after communism, curated a particularly powerful impression of the recent past and has had significant implications for how life can be lived in the present. The confluence of international and local understandings of the history of the short 20th Century and especially its second-half, has created a dominant narrative of post-communist collective memory. This view sees 1989 as the inevitable victory of a superior western model that ended a period defined exclusively by oppression and suffering, thus condemning the lived experience of millions of people to the garbage heap of history and constructing them in the present as victims and damaged goods. In part, this has been tactical, helping to forge an understanding of a Czechs as ‘Central Europeans’ and thus deserving of a ‘return to Europe’, to the exclusion of those further East, condemned as oriental others, as non-EUropeans. Milan Kundera’s famous essay ‘The Kidnapped West’ is a prominent example of such an approach, asserting Central European belonging in a Western idea of Europe and grounding its legitimacy in the interwar period. Central Europe becomes the West’s jilted lover, banished to the Russian East, diverted from it’s ‘true’ path and facing a kidnapped present and a hijacked future. Ironically, although Kundera explicitly rejects Marx and Hegel’s version of History, he effectively espouses a Fukuyamian historicism avant le letter, albeit one that limits the teleology of a Western destiny of ‘Liberal-Market-Democracy’ to Western and Central Europeans and Americans. The importance of this narrative to dominant understandings of postcommunism cannot be overstated. Playing on the curtailed experience of democracy and linking this to the cultural flourishing of the First Republic, helped Vaclav Havel and Lech Walesa (and others) ensure that the so-called ‘Return to Europe’ was institutionally concretised in accession to the European Union, although this very much on the EU’s terms. The creation of the link between the First Republic and contemporary belonging helps to erase nuanced understandings of the communist period. To be clear, this was indeed a time of tremendous suffering, oppressive politics and the callous crushing of a shocking amount of human potential, but was that the whole story? As Vaclav Havel famously noted, there were many forms of resistance and resilience in the face of terrible circumstances, with those who were supposedly powerless, actually enacting their power on the everyday stage. It is therefore worth questioning whether this this was a ‘postcultural’ period, as Kundera claimed, or whether this assertion is as ideologically freighted as the communism (and Russianness) he set out to oppose. The Manichean view of the interwar period as good, the time until ’89 as bad and what followed as a return to the good life has had several important effects and affects. Following Kundera, this sees postcommunist ‘transition’ as a journey from point to point, from the “stolen European and capitalist past” to the predetermined ʻprogressiveʼ trajectory of the West. However, once back on the same path, Central Europeans were seen to be behind and backward, frequently labeled either as ‘success stories’ or ‘laggards’ in imitating the always-already advanced West which they were benchmarked against, leading Juergen Habermas to denigrate the events of 1989 as “catching up revolutions.” Such a view fits with the pedagogical historicism in which the victims of communism became the ‘pupils’ of heroic European and American ‘tutors’. This is also reflected in the patronizing Pentecostalism that styled these revolutions as a re-birth and that talks of ‘young democracies’ and the ‘children of 89’. Importantly for this discussion of the social meaning of architecture and its role in material memory, characterizations of the communist period as one of merely kidnap and theft ignore the complexity of lived experiences of the time leaving victim testimonies as the main mode of available and acceptable public speech regarding that time. Labelling art, architecture and literature of the time as ‘postcultural’ is a delegitimizing move that seeks to reify other types of culture and which supports unfairly totalizing accounts of communist experiences, a treatment all too common where communist-era cultural production is concerned. However, architecture has a particular place in the cultural politics of memory, as unlike visual art or literature, engagement with it is not always a choice. We all experience the material environments we live in and the buildings in which we live and work may not always be of our choosing. 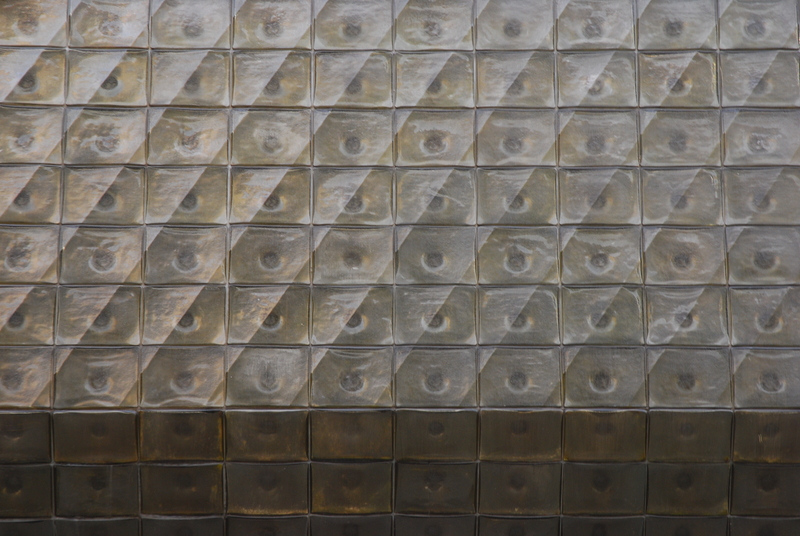 Noting Jonathan Raban’s account of the ‘Soft City’ – that makes us as we make it – recognizes the importance of the imposition or contestation of material meaning and the different ways we experience architectural and urban affect. Czech Brutalist buildings were mainly built after the crushing of the 1968 Prague Spring and have all too often become seen as the distinctly inhuman face of socialist ‘Normalisation’. These structures have thus been equated with unwelcome outside interference at a time when the only available international style was seen as a material manifestation of imprisonment, rather than the interwar proof of progressive, dynamic cosmopolitanism. Considering the very different reaction that Brutalist buildings have often inspired in the reunified Germany, it is important to note the significance of different understandings of the communist period there, as well as the impact of a very different (inter)war past. This may have contributed to a continued embrace of contemporary modernism throughout the post-war period, with the clear connection (and open competition) between building in the East and the West, reaffirming national connection by highlighting the falseness of enforced division. In Germany, as in many other places, Brutalism was understood as an architecture from within rather than one imposed from without, albeit with differing variations and connotations in the two halves of the divided nation. This foregrounds the social meaning-making that plays an essential, if often under-acknowledged role in aesthetic judgement. Thus, the marquee buildings of the Czechoslovak Normalisation period are often seen as all too closely entwined with authoritarian politics of the period, with their aesthetic, material and functional qualities and the complexity of their social meaning is too often ignored in this totalizing gaze. The communist period is often seen in the popular, Western imagination as ‘grey’ or ‘drab’, with ‘the people’ of the time eking out a meagre existence in a concrete-clad, shadowy half-light that is all too easily equated with run-down, large-scale housing projects. 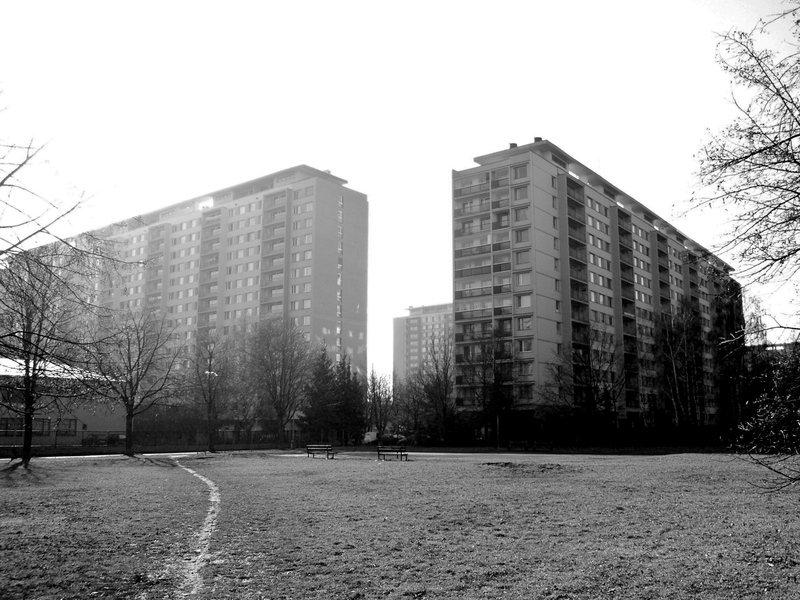 These descriptions, as well as the slights on key socialist-era buildings, continue to reverberate in the concrete estates – built then, but still lived-in now – many of which were realized in a brutalist vernacular: from the low rise ‘Solidarita’ in Strašnice and Karlin’s sleek ‘Invalidovna’, to the fleets of panel-buildings in Ďáblice and Jižní Město, they have been all too easily dismissed as mere communist blocks that signal second class-life in what was the second world. After ’89 these visions of how the future used to look no longer looked the part, as post-communist countries tried to shed their socialist skin and tried to emulate the West. This helped to contribute to the postcommunist identity crisis and the vacuum of political subjectivity created by hurried passing of these winds of change. Damning the buildings of that time has also helped to cast people who live in them today as poor relations, willfully forgetting that these were, and continue to be, the places where people grew up, loved, laughed and even enjoyed moments in ignorance or defiance of the party regime. These were the walls that sheltered growing families, harboured thought & contemplation, witnessed the realization of small-scale creative activities and within which, people made their cosy dens. 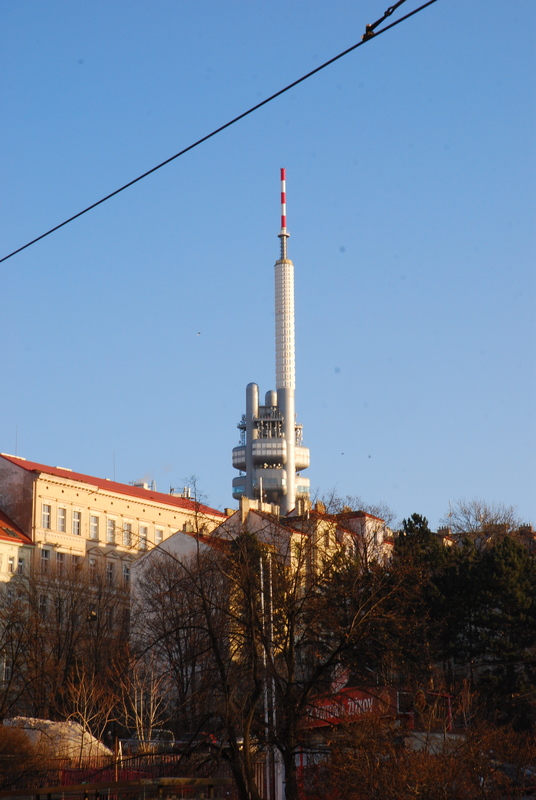 More recently however, as the post-historical utopianism of the neoliberalising global order has been buffeted by an economic crisis so prolongued that it has become the norm and as the realities of living by rules largely made elsewhere become clearer, it has been possible to detect mnemonic counter-currents in the Prague cityscape and beyond. 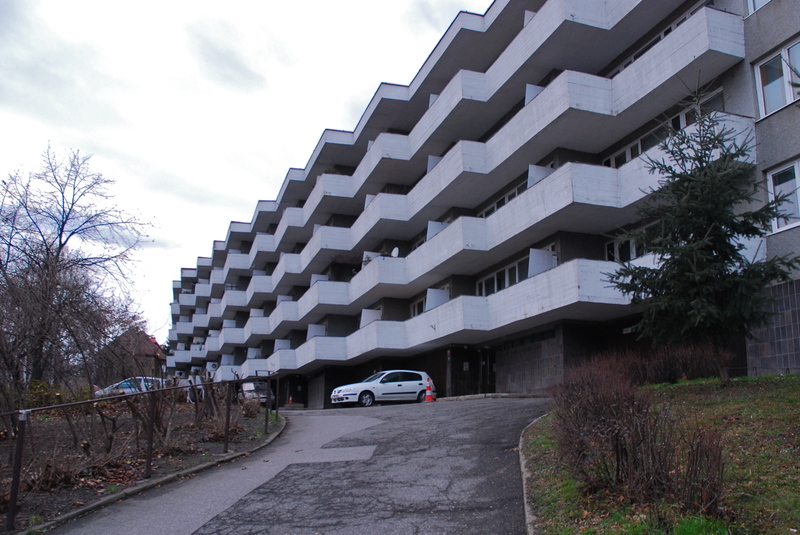 Aesthetically and functionally, the designs of Karel Prager, Vladimir and Vera Machonin and others at the forefront of Czech brutalism, have stood the test of time and are starting to receive the local and international acclaim that they deserve. Much like the myth of the Czech ‘return to Europe’ post-89, Prague did not need to “return to the international architecture scene” after the cold war, it had always been there. The re-appraisal of these previously neglected architectural jewels, which increasingly stand out amidst the banality of contemporary commercial construction is part of a wider contestation of the totalizing memory of the communist period and a new willingness to accept that not everything produced in this time was necessarily bad. This points to the need to re-engage a past all too quickly jettisoned in the haste of transition, not to pardon or rehabilitate the communist regime, but to recognize the nuance and complexity of the lived experiences of that period, of the significant grey areas that people were required to operate in and the not so grey experiences they may have had in and around the buildings of the time. Reconsidering the architectures of that time and their place in contemporary urban life is a significant step in reclaiming the multiple singularities of the past and thus restoring the possibility of subjective authenticity, that sense of having been both then and now and being able to speak as fully as one can of both times and indeed to rescue the beautiful babies that were thrown out with the surfeit of bad bathwater. 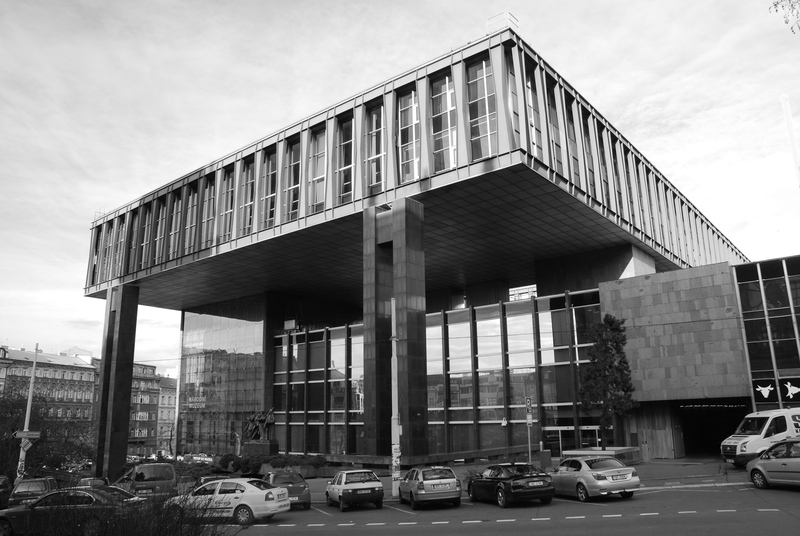 The former Czechoslovak Federal Assembly building (Prager, 1972) at the top of Wenceslas Square, which served as the post-89 headquarters Radio Free Europe has been fully refurbished to mark its transformation into ‘The New Building’ of the Czech National Museum. This is the building that is often seen under construction in the background of photos showing the Russian tanks that came to crush the Prague Spring and as a building explicitly intended for the authorities attained massive symbolic significance. That this architectural wonder was effectively given away to a foreign organization in the wake of the velvet revolution is also indicative of the politics of the time, as its gleaming resurgence at the heart of officially-sanctioned national memory. Another Prager building, the Nova Scena (1983) of the National Theatre, famous as the ‘Magic Lantern’ where roundtable talks were held during the seizure of power from the communist regime has gone from being derided as looking like “frozen piss” to being lauded as a must-see site in the latest Prague guide from international tastemakers Wallpaper* magazine. Similarly, the Kotva department store is a reassuringly solid presence opposite the pink crème chantille of the recent and hideously Disney-like Palladium shopping centre. Hotels such as the Intercontinental, and President downtown and the Praha and Pyramida further out have long catered for tourists and conference-goers, while commercial buildings such as the Smichov Komercni Banka and the Cube office complex showing the range of brutal beauty in Prague. 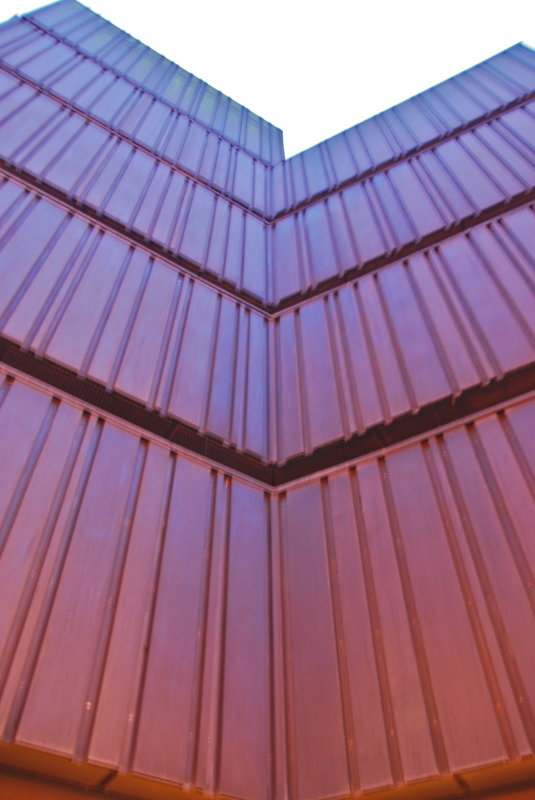 Many of these buildings are archetypal brutalist designs, showcasing that the use of exposed materials arranged in playful or elegantly repetitive forms that is juxtaposed with the solidity and weight of the materials themselves. This play of lightness and weight, elegance and solidity is often lost in the brutalist nomenclature which was coined for its use of Beton brut, rather than anything more sinister. 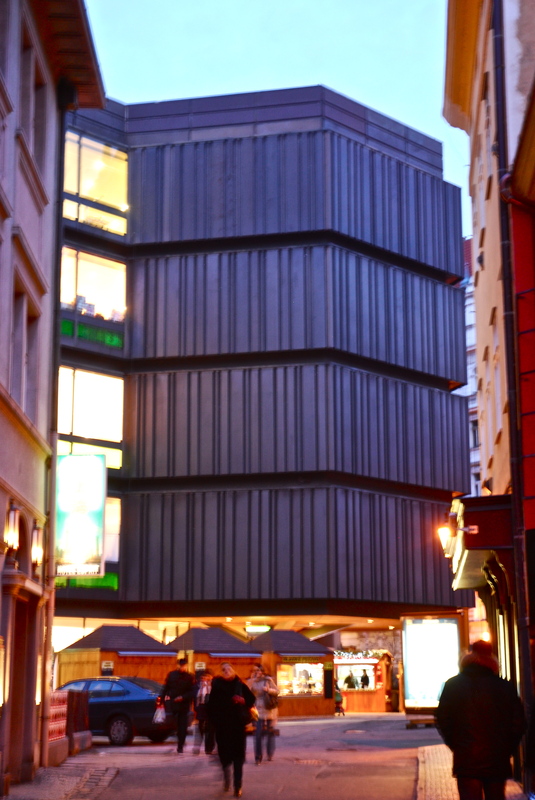 The sweeping curves and egalitarian distribution of balcony space at the Hotel Praha and the elevated and seemingly floating, curtain-walled body of the former Federal Assembly speak of a technical mastery of contemporaneous international building styles. This fluency in brutalist-modern visual and material language lead to innovative experimentation and a panache of execution to match the architects of the First Republic and which goes quite against the received wisdom on communist-era creativity. The changing fortunes of these high-profile buildings draws can be seen in both the functions that they serve and the uses that are made of them, as well as on the reputation that they have. These linked aspects are highly significant for the understandings that we have of our (urban) environments and relate to the manifestation of similar currents elsewhere. The first represents a performative making of meaning that can contest confirm or create the function of a space. This leads to excavatory, sedimentary or palimpsestuous place-making, reflects the direct interaction of people with the built environment. In Berlin, the transformation of the 3rd Reich Air Ministry building into the contemporary Federal Ministry of Finance and the re-invention of the Olympic stadium from shameful Nazi hangover to centerpiece of a new Germany, once again accepted as having a waveable flag are only two examples of such processes. There are also many examples of this in Prague, from the re-branding of Pankrac high-rises to the cynical corporate appropriation of the already appropriated ‘Máj’ shopping centre to make the indicatively named ‘My’ Narodni. 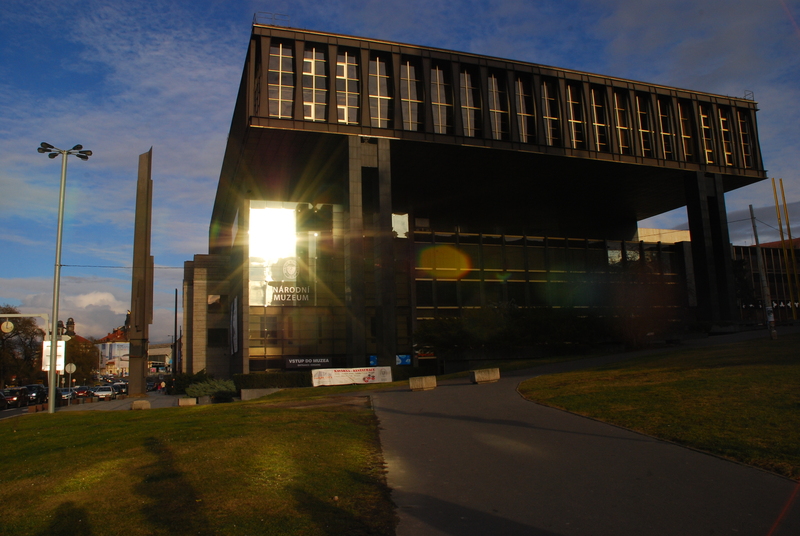 The controversy around the formal listing of this building also shows the often particularly bitter hatred of brutalist style buildings that is not the preserve of either Central Europe or postcommunist countries and which relates to the discourses that also inform architectural meaning-making. It has long been accepted that it is mainly architects and architecture critics who champion brutalist buildings, imposing them on the poor folk who actually have to live there, while they retreat to more comfortable and comforting climes. It has been of continued delight to conservative commentators that the iconoclastic critic Charles Jencks declared that “Modern Architecture died in St Louis, Missouri on July 15, 1972 at 3.32pm or thereabouts when the infamous Pruitt-Igoe scheme, or rather several of its slab blocks, were given the final coup de grace by dynamite.” Those conservative critics may not have liked all of, or indeed any, of the postmodernism that Jencks espoused, but this was a victory for anti-modern traditionalism in architecture and a foreseeable end to all this concrete, glass and steel. 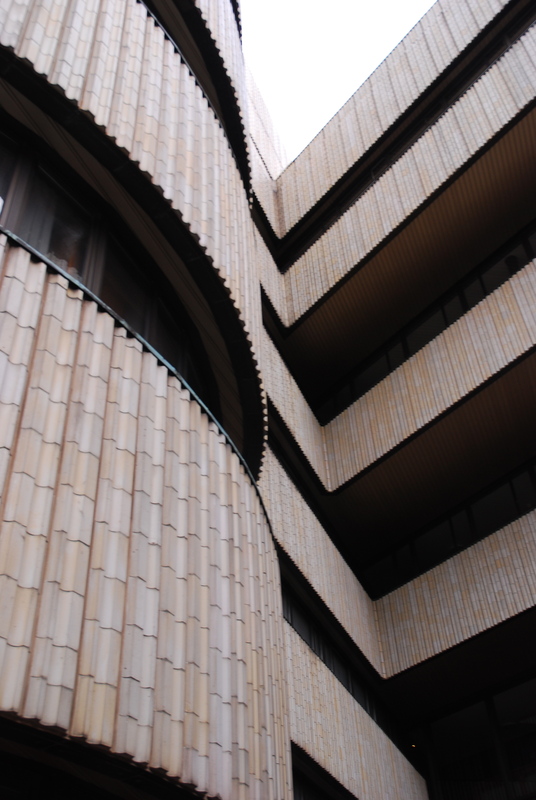 Jencks was purposefully premature and the battle for modernism has raged on ever since, but it has done so in a prevailing critical climate that has sought to blame many urban and social ills on this style of architecture, which bred nought but misery, poverty crime and alienation. However, around the world, this received wisdom has come into question, with the re-appraisal of the aesthetics of brutalist buildings often accompanied by refurbishment. Even the founding myth of the critics of modern architecture – that the brutalist-modern Pruitt-Igoe housing project was fundamentally unsound – has been challenged. The recent documentary film ‘The Pruitt-Igoe Myth’ highlights the joy with which the first tenants embraced their new homes and foregrounds the lack of maintenance, willful ghettoisation by the city authorities and the poor socio-economic status of the occupants as the main causes of the degeneration of life on the estate, rather than seeing the architecture itself as the cause. 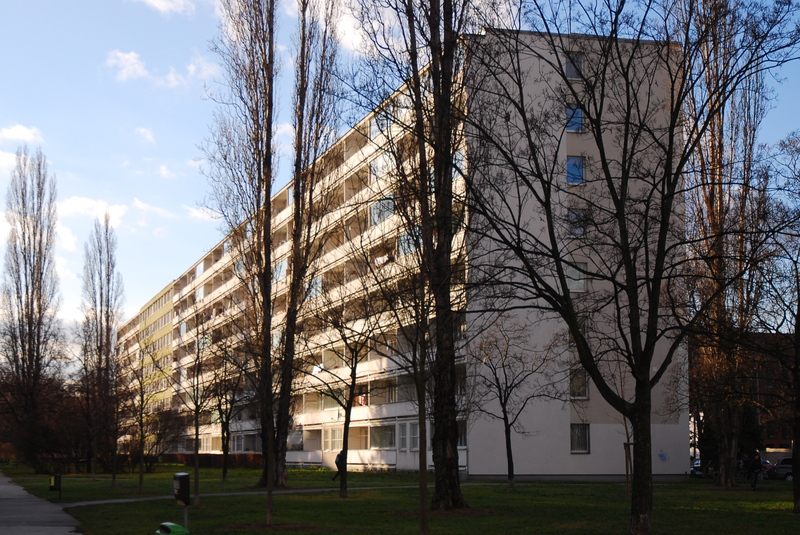 Similarly, according to reports in the Czech media, anthropological research on Prague’s biggest housing estate at Jižní Město, revealed “strong social networks, plenty of greenery and decent public transportation” and that this and other such areas had not become a low-income ghettoes in the course of transition. Among the signature buildings of Jižní Město are the linked towers of the Hotel Kupa, which recall London’s Trellick tower from the renowned British brutalist architect Erno Goldfinger. The revival in the fortunes of brutalist buildings in other parts of the world has coincided with the re-appraisal of Czech communist architectures, as it has seemingly been realized that they were not some aberrant form unique to authoritarian regimes, but that actually the embrace of this style by the skilled hands of Karel Prager and others was actually capable of producing beautiful, interesting buildings. While questions will always be raised about the politics of those who were able to build during this time, even non-party members like Prager, this picture is complicated by the continued activity of interwar architects such as Josef Havlíček and Bauhaus director Hannes Meyer in postwar Czechoslovakia. However, it should be recognized that the best brutalist buildings bear elegant witness to the resilience of cultural creativity that was able to flourish despite the adverse conditions of the time. Recognising the aesthetic value of these marquee buildings makes it harder to simply dismiss their everyday cousins in the housing estates, which is increasingly important in the increasing socio-economic Darwinism of a neoliberalising Europe where we should continue to assert that just because you don’t live in a villa doesn’t mean that you don’t belong here. The rehabilitation of these material forms and their social meaning comes as part of a renewed willingness to properly reckon with the past in all its complexity, refusing the simplifying narratives of totalizing tyranny and victimhood in order to reclaim the uniquely Czech experiences of this time and to be thus better able to contextualise and understand them within wider narratives, which can then also be better challenged. This in turn may speak of a desire to re-assert political subjectivity and articulate a new way of being internationally Czech without either passively acquiescing to every outside demand or resorting to aggressively parochial populist nationalism. Having taken on board much of the postmodern critique, is this revival indicative of a new modernism, unimpressed with the low ambitions, broken promises and banal pastiche of the geographies at history’s end? In the context of ongoing and uneven economic hardship across Europe as well as resurgent public political activism we should be rightly wary of architecture instrumentalised to political purpose, but at the same time we cannot ignore the highly political causes and consequences of our material worlds and nor should we reject the possibilities that architecture holds with regard to being, belonging and becoming. Too often, Prague is damned with faint praise: deliriously light entertainment for tourists passing between Europe’s sites of heavy, serious, real memory; a refuge from reality for introverted dreamers, trying to stay forever young, like the First Republic they idolize; in short, somewhere to visit, a nice place to play, a temporary refuge from the real business going on elsewhere. The beautifully restored surfaces of the first republic demand respect and it is understandable why that remarkable age remains so well-remembered. 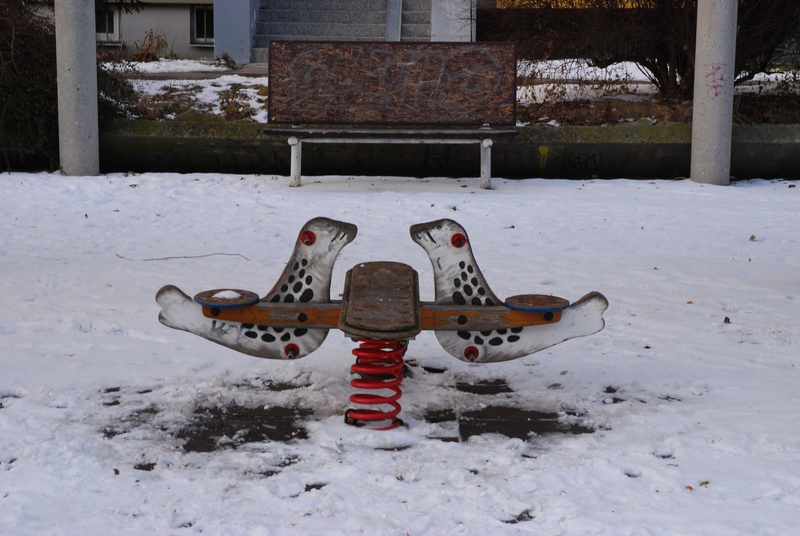 However, without the emergent reckoning with that which followed, a nostalgic melancholia would dominate the politics of Czech memory and obscure the opportunities and demands of the present, not only betraying the spirit of that past, but surrendering the present to the narratives of victimhood and pedagogy. The restoration of key buildings and the continued process of improving the housing estates as well as the increased number of exhibitions on Czech Brutalism and the discussion of the issues surrounding it in the media all point to a new engagement with unquiet ghosts that haunt the present. Perhaps the belated blooming of Czech brutalism and the recent (and bizarre) decision to re-build the Berliner StadtSchloss (in place of the Palast der Republik) mark a passing of the mnemonic baton, to Bohemia, where Prague is shedding its berlin complex and is demanding to be seen afresh, as a city in full. This is an urban landscape that runs the gamut of glamour and grit, a schwer site of work and memory, not only licht laughter and forgetting. It should recognize itself as such and demand the same recognition from others. Such recognition that would begin to challenge the hierarchies of inclusion that preclude real belonging and limit the ability of people to participate in determine their individual and collective futures. This essay was originally published in Vlak 3, May 2012 in Prague. Carr, E.H. 2001. The twenty years’ crisis, 1919-1939: an introduction to the study of international relations. Basingstoke: Palgrave. Original edition, 1939. ”The tragedy of Central Europe”, New York Review of Books, 26 April 1984, pp.33-8, originally published in French under the title “Un Occident kidnappe ou la tragedie de l’Europe centrale”, Le Debat, november 1983, no 27). King, Charles (2000) ‘Post-Post-communist: Transition, Comparison, and the End of “Eastern Europe”’, World Politics, 53(1): 143-172; Moravcsik, Andrew & Vachudova, Milada (2003) ‘National Interests, State Power, and EU Enlargement’, East European Politics and Societies, 17(1): 42–57. 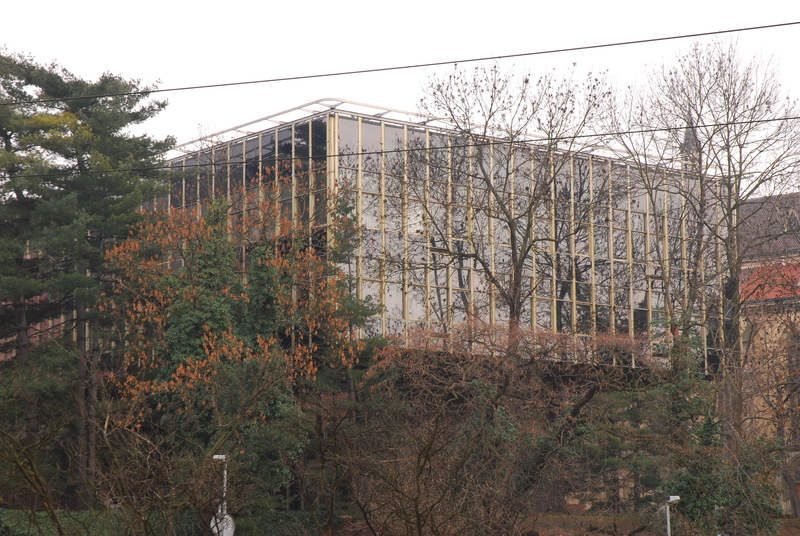 Hanzlova, et al,(Eds) (1999), Prague, 20tth Century Architecture, Springer, 1999: p8. The Czech Newspaper Pravo! 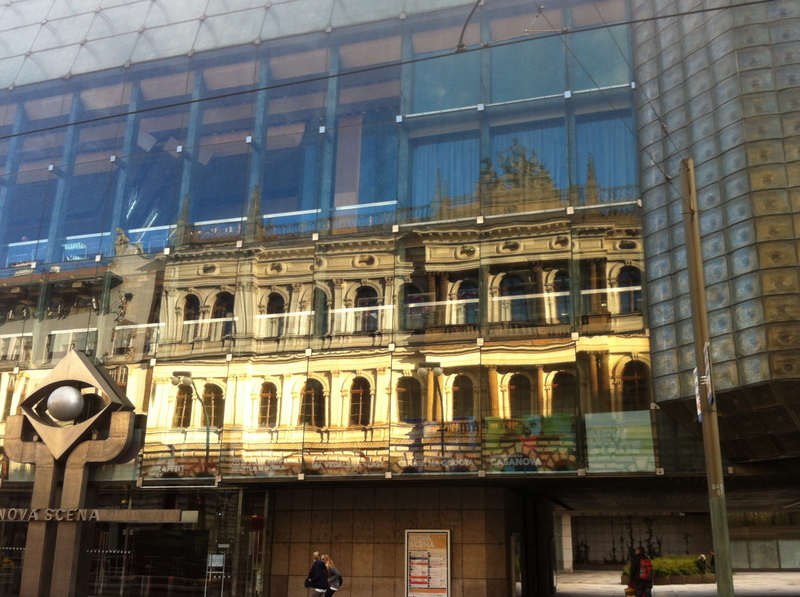 reported on 06/02/2012 that a group of Czech art experts (UM!) 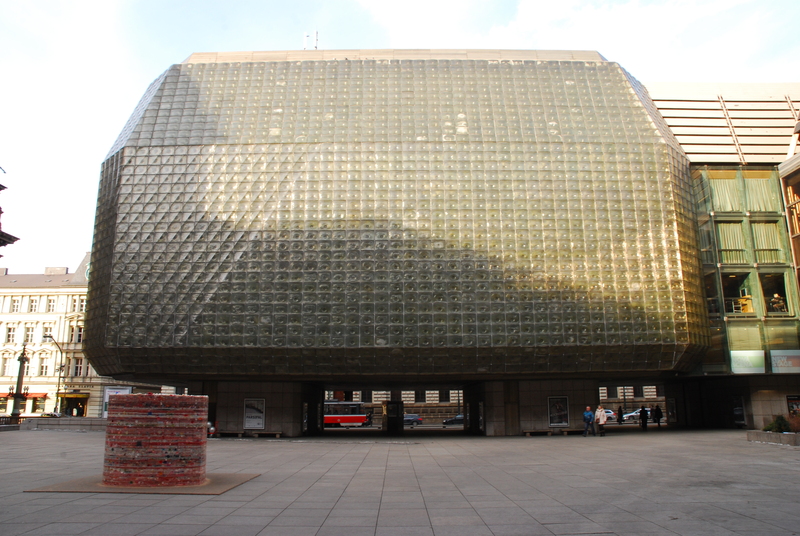 were working on a book looking at the cultural and aesthetic aspects of the Prague Metro as an art space. I grew up in Prague when many of the buildings mentioned in this article were either new or being built. At the time they were often received with a mixture of pride and resentment. I haven’t lived in the Czech Republic for many years but on my visits I’ve seen these buildings being subtly repurposed, gradually shedding their association with the drab era of ‘normalisation’. Good architecture adapts.